With two major CBD buildings coming onto the market over the past six months, Brisbane’s office market vacancy has unexpectedly risen to a new record high. The Property Council of Australia’s latest Office Market Report, released yesterday, shows the headline vacancy rate for Brisbane’s CBD has increased from 14.9 per cent to 16.9 per cent, over the six months to July. “Given over 115,000 square metres have come online over this time, the Brisbane market has demonstrated its resilience through being able to absorb much of the new supply,” Property Council Queensland Executive Director Chris Mountford said. 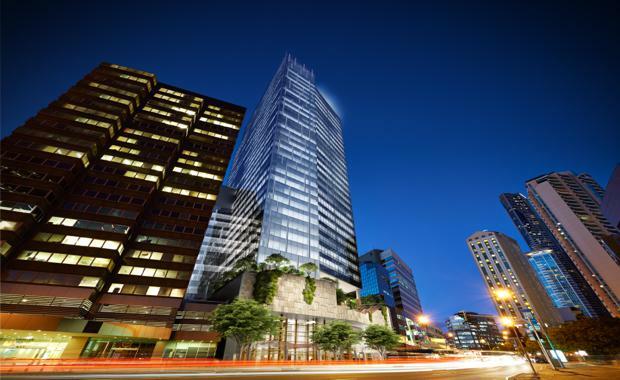 “After the Government’s 1 William Street development is completed later in the year (75,853sqm), there is little further space expected to enter the CBD market in the short to medium term. “While the recent supply additions had a negative impact on the headline vacancy rate, there is positive news for Brisbane, with net demand for CBD space reaching five times it historical average over the same period. “The slight increase in the fringe office vacancy from 12.7 to 12.9 per cent is directly attributable to negative demand. “With the ongoing ‘flight to quality’ and historically high levels of sublease vacancies, tenants are seeing an opportunity to move from the fringe into the CBD. Mr Mountford said demand continued to be in the Prime and A-Grade with lower grades continuing to experience negative demand. “Through its new report, An Open City, Brisbane City Council has presented an overview of the CBD revitalisation initiatives in place to stimulate activation of the city centre, including opportunities for adaptive reuse of older buildings. According to Knight Frank Senior Director of office leasing Campbell Tait, with the Brisbane CBD office leasing market seeing an increase in activity over the past six to 12 months, it wouldn’t be at all surprising to see an improved set of numbers resulting in a sizeable decreased figure in headlined vacancy numbers this time next year.